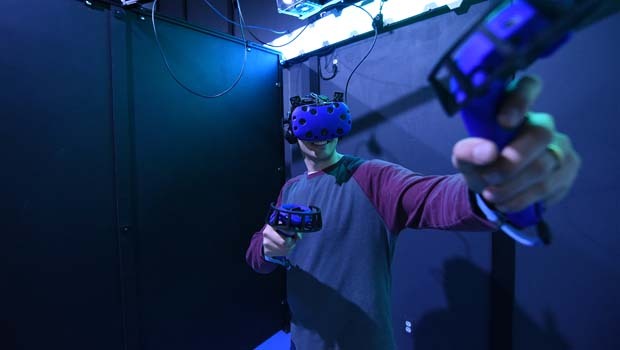 Escape VR Virtual Reality Arcade Tickets Contest – Enter to win 2, 60-minute sessions for Virtual Reality fun at Escape VR Arcade, the state-of-the-art virtual reality playground at Legacy 925 in Oxford! Take your child, or have your child & a friend don the VR headsets & controllers & choose from over 30 AMAZING games and experiences in high-tech 8ft x 8 ft Virtual Reality Escape Pods! The winner will receive an e-certificate from Escape VR Virtual Reality Arcade at Legacy 925 in Oxford and Oakland County Moms. These e-certs are good for 2, 60-minute sessions in these awesome Virtual Reality Escape Pods. e-mail me at lisa@oaklandcountymoms.com. Put VIRTUAL REALITY AT ESCAPE in the subject line and don’t forget to include ALL of your contact info (name/e-mail/phone #). Please let me know if you’ve completed steps 1-3. I’ll accept entries until Wednesday, June 11, 2019 and random draw/notify/announce a winner on Thursday, June 12, 2019. The winner will receive a certificate for 2, 60-minute sessions at Escape VR Virtual Reality Arcade located at Legacy 925 in Oxford (see address below). These certificates are good through 12/31/19. Winners must call ahead to make reservations when using their certificates. Want to try something NEW for your child’s next birthday party or celebration? This Escape VR Virtual Reality Arcade Tickets Contest is brought to you courtesy of Escape VR Arcade & Oakland County Moms.